In Morocco Edith Wharton is a great novel . 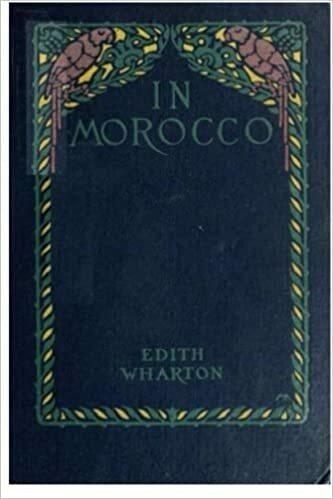 The great American novelist Edith Wharton (1862-1937) here gives us her colorful and textured travel memoir "In Morroco" (1920). Still a deeply energized work, Wharton imbues the reader with a sense of wonder that served as the impetus for her travels into this exotic Northern African land. Edith Wharton made her name as a novelist closely associated with the prolific Henry James. Their personal and literary kinship may be seen in much of her long and short fiction. And just as Henry James' travel novels arrest and captivate, so too does "In Morocco". This account explores the culture, history, and beauty of a Morocco of yore in an intriguing combination of realist and romantic prose. Wharton weaves together anthropology with poetry, depicting the customs and manners of this place in all its splendor. Written with the eye of a documentarian, "In Morocco" is a breath-taking read full of wanderlust. In Morocco by Edith Wharton is a novel highly recommended to read. but even that of the far-off Assyrio-Chaldaean strongholds to which the whole fortified architecture of the Middle Ages in Europe seems to lead back. IX - Books Consulted * Afrique Française (L'). Bulletin Mensuel du Comité de l'Afrique Française. Paris, 21, rue Cassette. Bernard, Augustin. Le Maroc. Paris, F. Alcan, 1916. Budgett-Meakin. The Land of the Moors. London, 1902. Châtelain, L. Recherches archéologiques au Maroc: Volubilis. (Published by the Military Command in Morocco).